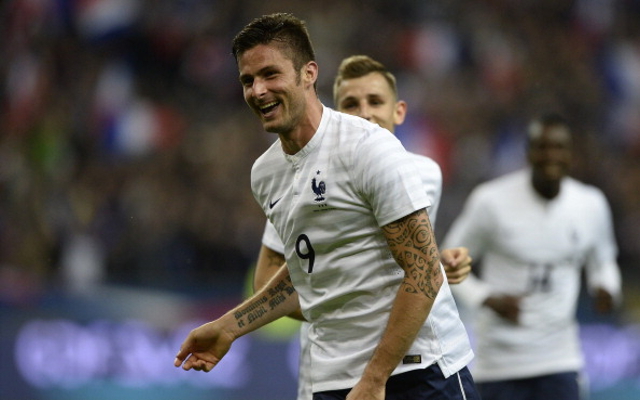 Giroud talks up Arsenal to France midfielder. Arsenal striker Olivier Giroud has reportedly been talking to his France team-mate and in-demand Marseille star Mathieu Valbuena about the possibility of moving to the Emirates Stadium, according to Fichajes.net. The Gunners have been linked several times with Valbuena over the last few years, while Liverpool have also shown some interest in signing him this summer after the player has admitted a desire to leave his current club. The 29-year-old has been at Marseille for much of his career so far, and would be keen to try a new challenge in a more competitive league, and has supposedly spoken to Giroud about life in London and Arsenal in particular whilst the pair have been together on international duty at this summer’s World Cup. Although Arsene Wenger’s side is already well stocked in the attacking midfield department, it could be that Valbuena becomes a priority target for the club as rumours strengthen that Santi Cazorla could leave for Atletico Madrid. Valbuena would be a great like-for-like replacement for the Spaniard, and would have the added bonus of knowing the likes of Giroud and Laurent Koscielny well from their time in the France squad, with the playmaker having linked up impressively with the Gunners front-man on a number of occasions in this World Cup.